Over 700 non-resident Indians and citizens have signed onto an online petition addressed to the President of India, expressing their support for the decision of the Chief Information Commissioner (CIC) on June 3, 2013, to bring six national political parties of India under the purview of the Right to Information (RTI) Act. Since the national political parties receive substantial funding from the government for their functioning, they were deemed by the CIC as public authorities, under Sections 2(a) and 2(h)(d) of the RTI Act. All the six political parties have issued statements rejecting the CIC ruling; but instead of challenging the decision in the courts, the Government of India is "hastily planning to issue an ordinance or bring a bill to amend the RTI Act". A statement issued by Association for India's Development (AID), a US-based NGO of NRIs to promote the voluntary sector in India, said, "The petitioners have expressed their outrage at such an attempt to surreptitiously amend the RTI Act through an ordinance. According to Article 123 of the Constitution, promulgation of an ordinance is carried out only in matters of great urgency." Displaying dismay at how these political parties have come together to deny citizens their right to seek information about their functioning, Debosree Roy, a volunteer with AID, and a graduate student from Charlotte, has said, “Right to information is a fundamental right of the Indian citizenry. In that substance, we, as citizens have a right to transparent information on the mechanisms, processes and decision trajectories and outcomes of all institutions that shape our everyday life." Emphasizing the important role that political parties play in a democratic republic, SrinivasNaga Chadaram, a board member of AID and a healthcare professional working in Durham, said, “Political parties share the responsibility of representing people in a democracy therefore they are public organizations. As our representatives, we expect them to be transparent and accountable to the people they represent." AID has been actively involved in the RTI movement and partnered with several grassroots organizations and leading RTI activists in generating awareness among people across India on the effective use of RTI. 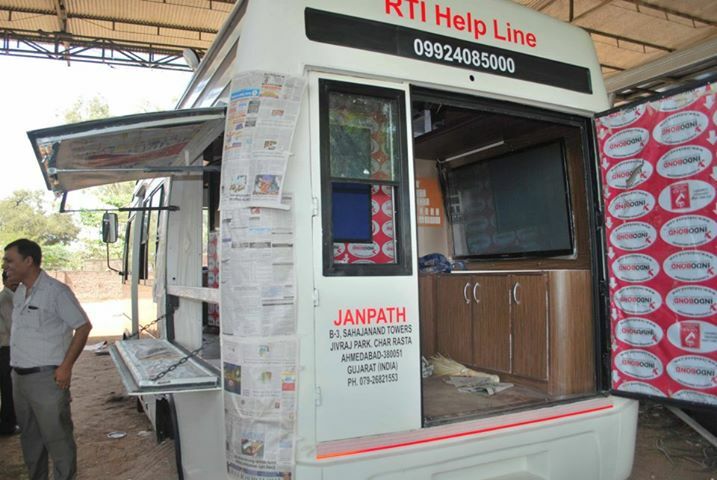 One example of a widely successful initiative supported by AID has been the “RTI on Wheels”, a Mahiti Adhikar Gujarat Pahel (MAGP), Ahmedabad, initiative, which is a mobile multimedia van that has taken RTI to rural villages in remote corners of India, and truly empowered people at the grassroots. AID also played a key role in setting up of the online RTI applications with the Indian embassy for NRIs in USA. "AID stands in solidarity with all the people’s struggles and RTI groups like MAGP and National Campaign for People’s Right to Information (NCPRI) involved in safeguarding the fundamental tenets of transparency and accountability, essential for a vibrant democracy to function", the AID statement concludes. For example this candidate's name, decided placement, political election day etc... You'd be amazed the way frequently this information can be neglected of a web site -- actually around the call web page.